In a comment letter today to the Basel Committee on Banking Supervision, ABA expressed concerns about the committee’s proposals to revise its methodology for the standardized approach to credit risk and to impose constraints on risk-weighted asset calculations in the internal ratings-based approaches to credit risk based on the risk weights of the standardized approach. In a comment letter today to the Basel Committee on Banking Supervision, the American Bankers Association expressed concerns about the committee’s proposals to revise its methodology for the standardized approach to credit risk and to impose constraints on risk-weighted asset calculations in the internal ratings-based approaches to credit risk based on the risk weights of the standardized approach. The Basel credit risk framework is expected to apply in the U.S. only to the largest, internationally active financial institutions. 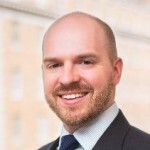 “The committee’s subsequent introduction of the constraints proposal has created a new and serious concern for our members,” ABA said, adding that “the combined effect of the constraints proposal and the standardized approach would significantly reduce the risk-sensitivity of the committee’s overall credit risk framework.” For more information, contact ABA’s Hugh Carney.